The 7 DAYS OF ME Vital Cleanse was a positive experience for me. 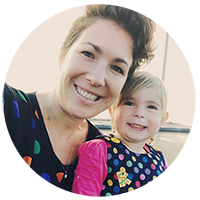 I saw changes in my body and general well being that I didn’t think would be that obvious and found it very achievable while living a busy work and family life. The set menu was amazing to have and very easy and flexible. We also found that it wasn’t expensive to buy the groceries and there was no wastage which is always a bonus in our household as we like to be as sustainable and eco-friendly as possible. After completing the cleanse I feel amazing. My skin is clearer and my eyes brighter. I wasn’t concerned with weight so not sure if I lost any, however it is amazing to notice my clothes are feeling like they should (they had been getting a bit tight!). I feel great, I have lots of energy and am sleeping well. When I wake early in the morning it is lovely to wake feeling refreshed and not sluggish! The food was delicious and I loved all the recipes. For me the favourite this time was probably the broccoli and tuna salad or the salmon parcels. To be honest, it is a bit hard to give a favourite as they were all yummy and super easy to prepare which is always handy! To those who are planning to do the cleanse or thinking about it, I say, go for it! Be kind to yourself and set achievable goals as you want the change to be lasting! Remember to be mindful and listen to your body during the cleanse, notice what it is telling you; most importantly rest and relax as often as possible! Try to focus also on the mind and other parts of the cleanse that go along with the change in diet like the dry brushing and thinking positively as I found these in their own right had an impact on my health and experience. There will be hard days but stick in there as the feelings and changes at the end are worth it! Following the cleanse I am carrying on with many aspects such as aperitif once a day, including brown rice in meals, less snacking at night, better portion sizes and eating more raw veggies which is easier coming into summer. I think the raw veggies was something I definitely noticed a difference with as over winter we eat all cooked veggies as we find salads a bit cold on a winters night, so now is a great time to bring the raw veggies back. I am so pleased with the results of the cleanse and would encourage you all to give it a go! The great thing is that every time you do the cleanse you notice new things and you pick up new habits as well as gettting rid of unhealthy ones! It is not about getting it all sorted the first time but allowing yourself to journey towards making long lasting change to your diet and lifestyle. Bring on March 2016 – I will be ready to do it all over again! Well the last day has been and gone and overall the week cleanse was a positive experience for me. 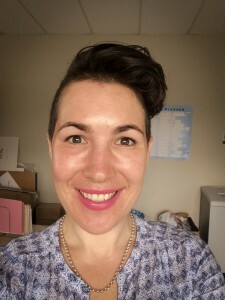 I saw changes in my body and general well being that I didn’t think would be that obvious and found it very achievable while living a busy life with a family and working as well. The set menu was amazing to have and very easy and flexible. We also found that it wasn’t expensive to buy the groceries and there was no wastage which is always a bonus in our household as we like to be as sustainable and eco-friendly as possible. After completing the cleanse I feel amazing. My skin is clearer and my eyes brighter. I wasn’t concerned with weight so not sure if I lost any, however it was amazing to know that there have definitely been centimetres go and my clothes are feeling like they should (they had been getting a bit tight!). I feel great, I have lots of energy and am sleeping well. When I wake early in the morning it is lovely to wake feeling refreshed and not sluggish! Below is a picture of me this morning, the day after my cleanse is finished with no filter! There food was delicious and I loved all the recipes. For me the favourite this time was probably the broccoli and tuna salad or the salmon parcels. To be honest, it is a bit hard to give a favourite as they were all yummy and super easy to prepare which is always handy! To those who are planning to do the cleanse or thinking about it, I say, go for it! Be kind to yourself and set small goals as you want the change to be lasting! Remember to be mindful and listen to your body during the cleanse, notice what it is telling you; most importantly rest and relax as often as possible! Try to focus also on the mind and other parts of the cleanse that go along with the change in diet like the dry brushing and thinking positively as I found these in their own right had an impact on my health and experience that week. On the hard days stick in there as the feeling at the end is worth it! 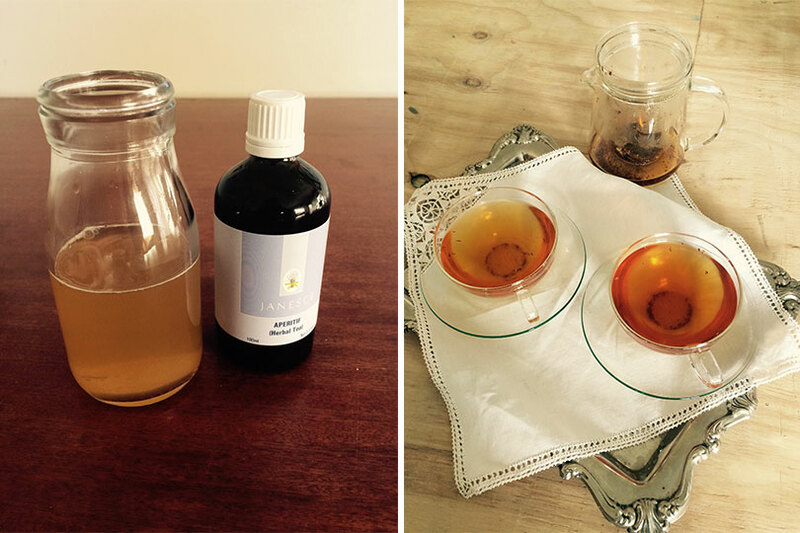 There were many aspects of the cleanse that I carried on with after the March cleanse such as herbal tea instead of decaf, eating tuna, dry brushing and overnight oats. This time I am going to carry on with all of the above as well as aperitif once a day, including brown rice in meals, less snacking at night, better portion sizes and eating more raw veggies which is easier coming into summer. I think the raw veggies was something I definitely noticed a difference with as over winter we eat all cooked veggies as we find salads a bit cold on a winter night, so now is a great time to bring the raw veggies back in salads etc now it is getting warmer. Lastly, I am being kind to myself and coming out of the cleanse. Last time I found my digestive system and bowels didn’t cope coming out of the cleanse so well and this time I am doing things a little differently. This week I will keep taking the aperitif but only two times a day as well as keep some of the meals from the cleanse in there as there are lots to choose from in the back that I didn’t do, as well as the breakfasts. Then the week after I will go down to aperitif once a day and then keep eating in the style of the cleanse as this is something we want to keep up as much as possible from now with lots of raw veggies since it isn’t winter anymore! I am so pleased with the results of the cleanse and would encourage you all to give it is go! The great thing is that every time you do it you notice new things and you pick up new habits, its not about getting it all right the first time but allowing yourself to make long lasting change to your diet and lifestyle. Bring on March 2016 – I will be ready! Coming into the weekend I must admit I was nervous of the cleanse. One of my regular weekend treats is a glass of wine or two on a Friday or Saturday night so I was interested to see how this was going to go along with other social commitments we had. Day five started with a great breakfast again and I started to notice feeling a lot better and not as tired which was surprising considering it was the last day of a busy week! I was excited to try the ‘salad in a jar’ as well since I didn’t do this last cleanse. I had a lot of fun filling mine with tuna, capers, grated beetroot and carrot, red cabbage, sprouts and spinach. It was surprisingly filling (mind you my jar was rather large) and I loved that all I had to do was tip it onto a plate and then dig in! And food in a jar is so much cooler than food in a container! My jar was just a reused one I had at home. I was surprise that night when we had dinner a little later and I wasn’t really hungry since my salad had kept me full. Also that night I went out but was fine with just having water! I even surprised myself and didn’t feel like I was missing out at all. Remember social functions are about connecting with others and the drink or food is an added bonus. Day six I felt even better – my energy levels were up and I was feeling great. 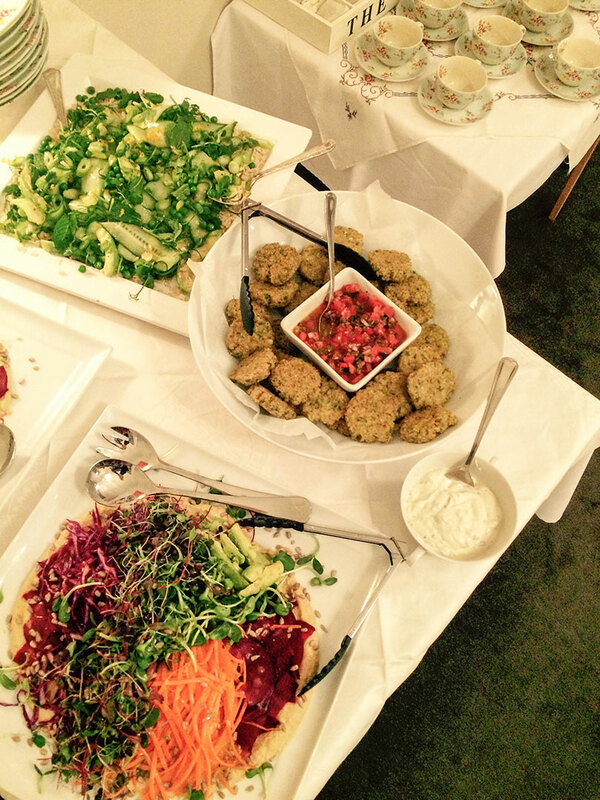 That day we had too of my favourite meals, the goddess bowl with falafels and also the crusted fish. 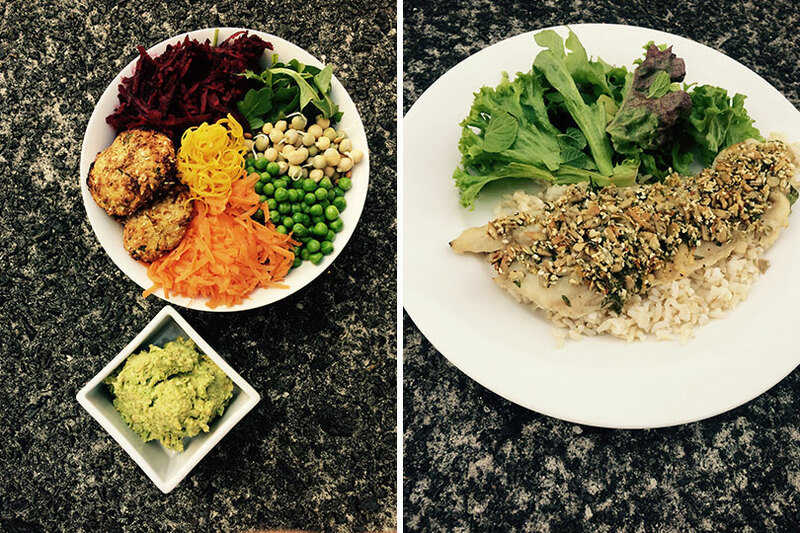 My goddess bowl was tasty as and included grated carrot and beetroot, spinach, sprouts, peas, falafel and lemon rind. I also made homemade green hummus that we do regularly. This is just chickpeas, lemon juice, olive oil, salt, pepper and any greens you have around – we find it a great way to add an extra way to get veggies into ourselves and also our little girl who loves hummus! That night with the crusted fish I must admit, I would have loved a glass of wine. It was the first time I really ‘craved’ or ‘felt’ like something that I couldn’t have during the cleanse so I was impressed by this and easily able to pass it by. The other time was that night when we were watching a movie, my husband and I usually like to have a homemade treat – this is usually a concoction I make from nut butter, cacao, vanilla, cinnamon and other bits and pieces I have in the cupboard. Although this is always a ‘healthy treat’ it can become quite habitual and more nights that one during the week which isn’t necessary. Instead I enjoyed a nice cup of peppermint tea and that hit the spot. With only one day left I am amazed at the way I feel – for someone who eats healthily anyway I have been impressed with the changes I have noticed and love that my jeans are not so snug. It will be a bit weird to be finishing and I will definitely have to think of a plan about ‘coming off’ the cleanse as last time I noticed my body struggling a bit. One more day! Remember the cleanse is running for all of September to it is not too late to join me! Today was tiring for me, the afternoon particularly. 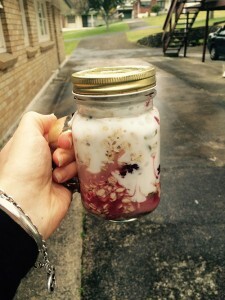 We had an early morning meet and had to be out of the house by 7.15am so this morning I toted my overnight oats with me in a jar and had them after the meeting when I was at work as I didn’t have time before then. I was too busy getting a toddler ready for kindy and out of the house by 7.15am! Usually I have breakfast just before 7am so it was really hard to wait until nearly 2 hours later to have it – my stomach was definitely making growling noises at me by the time I sat down to eat it. Needless to say, I savoured every bite! 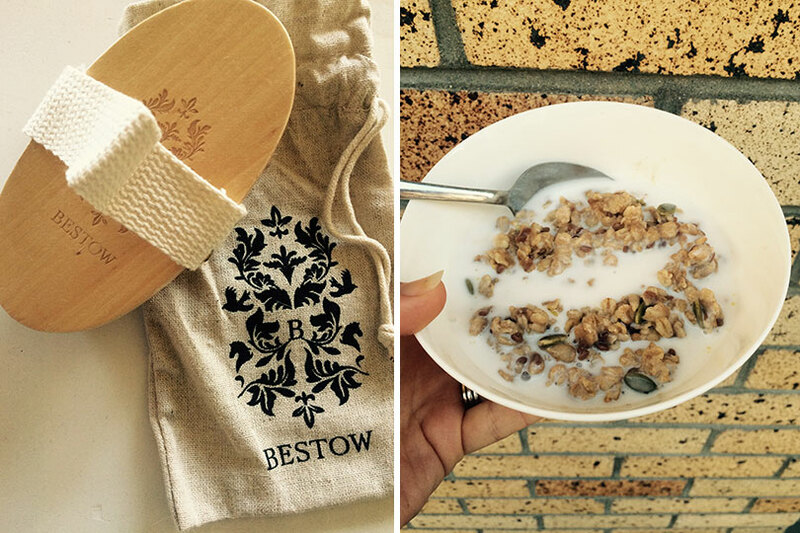 I love that the breakfasts are able to be taken with you – such a bonus! At lunch time it was great to see all the healthy lunches the others who were doing the cleanse had and it was nice to share the experiences we were having with each other. If you are the only one in your household doing the cleanse then I would definitely recommend meeting up with a friend who is also doing the cleanse for lunch or a catch up to share how it is going, the challenges, the differences you are finding already as it is really encouraging! It’s also great to do around day 4 when you are over the worst of it and seeing the light at the end of the tunnel! 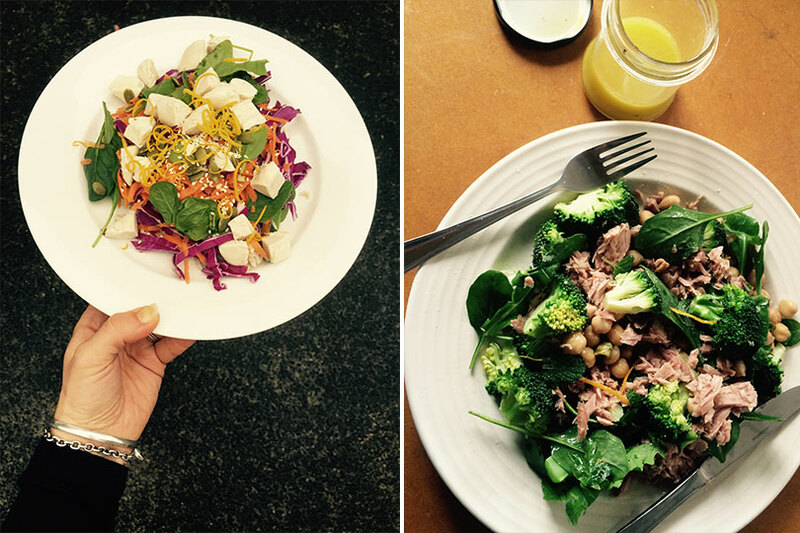 Lunch today was the tuna and broccoli salad. Previously to doing the cleanse in March, I would NEVER eat tuna and couldn’t stand it, however one of my goals last cleanse was to try all the recipes/food even if I thought I didn’t like it. Surprise, surprise tuna is now something I love and have kept eating since the cleanse. Healthy and easy to add to lots of meals! The afternoon I found myself the most tired I have been during the cleanse and struggled a bit to stay focused. I enjoyed a cup of tea and was very thankful that we eat dinner early with our toddler! 5.30pm couldn’t come around fast enough as well as bedtime! DAY FOUR – Possibly the hardest day for me but glad that it is now officially over half way and there are only three days left. In saying that I am really enjoying the effect it is having on the digestive system and body. I definitely feel much better in that regard and know the tiredness won’t last so it is all worth it! Perfect time to be doing it as well with the weather getting warmer and the smell of summer on the way! Yay, day three! Today was better than expected for me. Last time I did the cleanse, day three was the hardest, I was extremely tired and had a bad headache. Chatting to some of the other girls who are doing the cleanse helped me realise that the changes I had made from last time (no more decaf coffee) had made things easier this time. Although I wasn’t having caffeine the milk alone was like another small meal so since I hadn’t been having that and having herbal tea instead my body was already used to not having that and I haven’t felt as hungry as I did last time. It is these small lasting changes that you notice the second time! I also was a bit tired but no headache today and feeling good. The aperitif before every meal I find helps digestion for sure and keep things very regular! I don’t particularly mind the taste however I do just put a small amount of water with it and take it a bit more like a shot instead of a long lasting drink of water. I am getting more into the herbal teas and enjoying those between meals – today was a red chai tea – always best shared with someone for sure! Making into a little ritual with a beautiful tray and pot/cups makes it feel very special and ‘treat like’ which is a great habit to get into instead of rewarding myself with food treats! 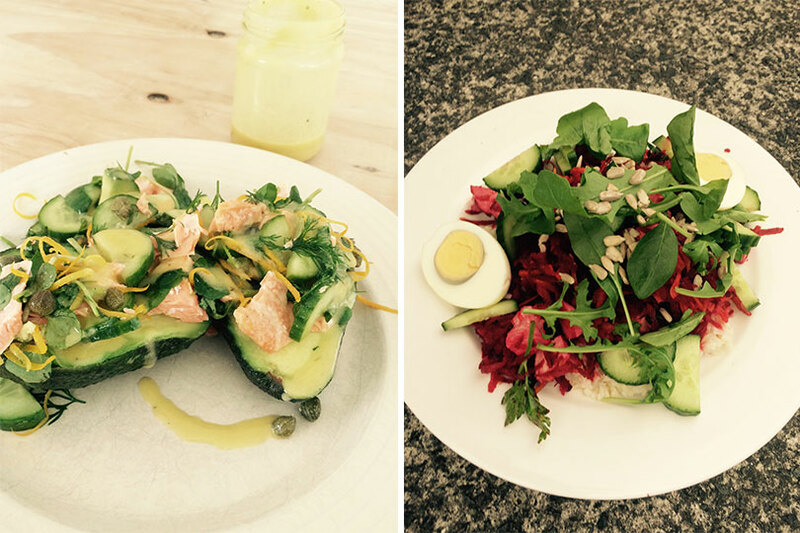 Lunch today was amazing and very filling with all the saturated fats like salmon and avocado. It was easy to prepare and take to work with me as well. 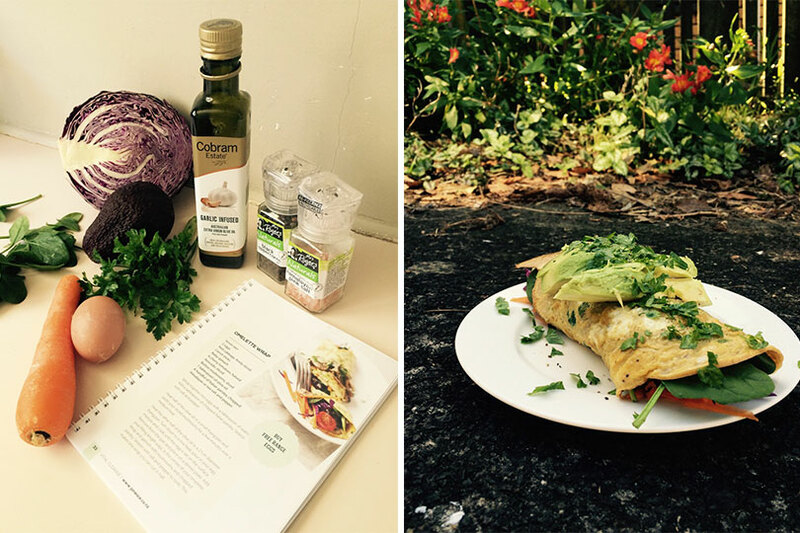 The thing I am enjoying most about this cleanse is that the meals are easy and can be prepared in advance so are great for a busy mum like me, looking after a toddler and working part time. Getting home at 5.15pm and expected to have dinner on the table by 5.30pm for a toddler can be tricky but the cleanse meals can be made in advance and just served up! Usually I spend 30 minutes at night preparing what I can for breakfast, lunch and dinner the next day and it is so worth it! For example tonights dinner I had already cooked the rice and the boiled egg as well as grated the veggies and made the dressing so all I had to do was throw it all together and we were ready to go! Already I am noticing the effects of the cleanse, a lighter feeling and less bloating. My skin is also much clearer! Still haven’t got to the bath yet but that might be my reward at the end of the week after a busy few days at work. Can’t wait! Ah breakfast…. my favourite time of the day! We chose to do the quinoa porridge (with buckwheat instead) and it was lovely to have something warm since the morning was rather chilly. We find the porridge to be very filling so were fully satisfied after this meal. During the morning I made the effort to sit with a cup of tea and enjoy the sunshine while it was around. I gave myself 5 minutes to practice being mindful and filling my thoughts of the things in life I am blessed with. It sounds cheesy but it really did bring a smile to my face and filled my soul. I am glad to be making an effort to do this side of the cleanse as well as the food as it is definitely something that is good for me right now with our lives being quite busy and changes on the horizon. Lunch was the lettuce cups and looked huge! Of course I managed to polish it all off easily and again felt very satisfied. 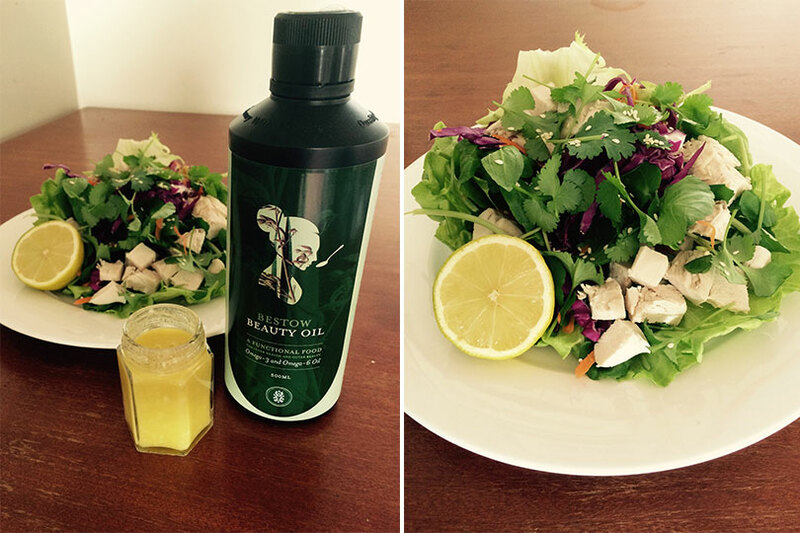 We made a dressing using the Bestow Oil which provides EFA’s needed for skin health. This dressing was something that we kept on with after the cleanse in March and we will definitely be keeping this up still. The afternoon went well and although I didn’t feel hungry, I was definitely tired and a bit grumpy! I am presuming this is due to my body working hard to cleanse so although it doesn’t feel pleasant I am trying to embrace it! Last time I found day 3 and 4 the hardest so here’s hoping tomorrow and the next day aren’t too bad! DAY TWO – Overall another great day! Not as hungry as I thought I would be which is nice but definitely a bit tired and grumpy. Looking forward to getting through the next few days and hopefully enjoying a bath or two with the Epsom salts to help relax and let me body do it’s thing. 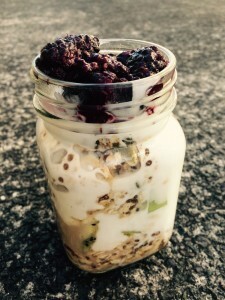 All started well today with my favourite breakfast – overnight oats! 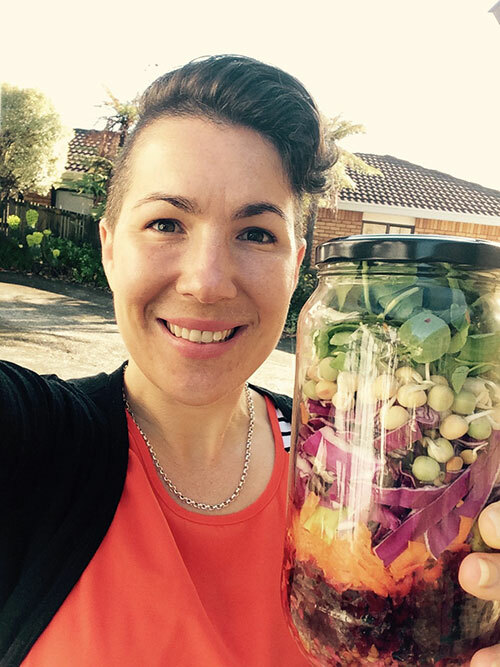 I love eating this out of a jar as it makes it more of a ritual and I find I am more mindful during eating and savour the experience (if I am running late I can just take it with me too!) We had kiwifruit instead of banana with ours and both the husband and I devoured it easily. 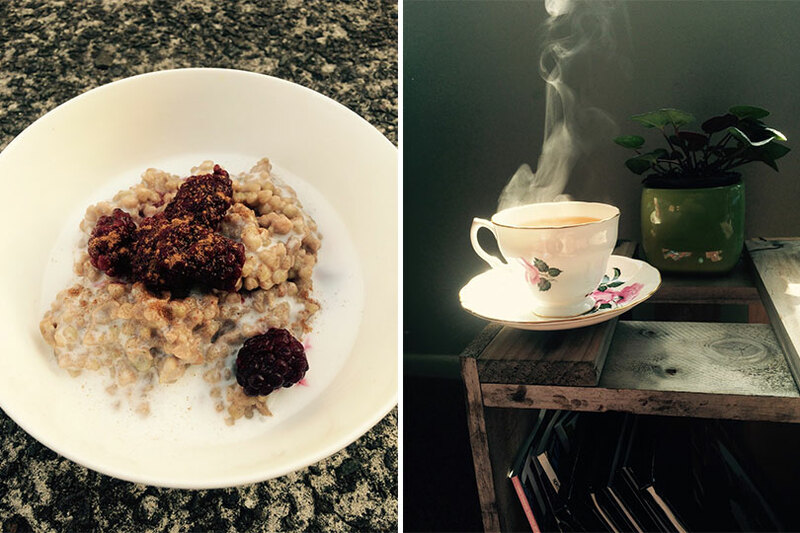 I love this breakfast because it is definitely one that fills you up and the oats are slow releasing meaning it gives energy throughout the morning. Come lunchtime, the sun was shining so I decided to make my lunch and eat it outside since I wasn’t working today. The prep for this was easy and the meal was simple but delicious – I was so pleased to be able to use Italian parsley from my own herb garden too. I made a few adaptions as I am not a huge fan of mushrooms so added a bit more fill and placed the avocado on top instead. I did find that it was a bit on the light side and I was feeling hungry in the afternoon so had a big cup of peppermint tea to help me last till dinner time. My cup of tea was also enjoyed in the sunshine with 5 minutes peace as the little one played happily beside me. For dinner we enjoyed the chicken, coriander and mint with brown rice which was surprisingly filling. We used fresh mint from our garden and had watercress this time which we didn’t do last time as I wanted to try it. Both my husband and little one enjoyed this as well which is always a bonus. After dinner I enjoyed a cup of hot water with lemon and then had an early night. No temptation for wine either which is good but this might get more tricky later in the week! DAY ONE – done and dusted. I am definitely counting my blessings and loving it so far. I imagine the sunny weather helped today as some of these meals might have been hard in the cold and rain! The bath will have to be something I enjoy later in the week and I was too tired and then am busy the next few nights but it is definitely on my to do list for a few days time. By then I am sure to be needing it as my body feels the effects of the cleanse! 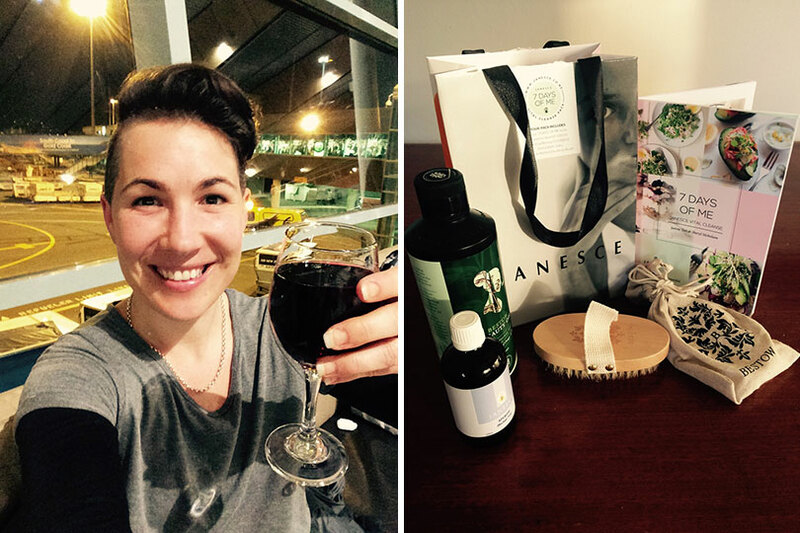 Jenny’s diary: 7 DAYS OF ME Cleanse, let’s do this! Meet Jenny Barrow, she is an integral part of the Lox Spa Team as support and assistant to Janine. She is very passionate about healthy living and is one inspiring lady! When I heard that the Janesce 7 DAYS OF ME Vital Cleanse was happening again, I was instantly on board. I had such a great experience (although tough during parts) participating in the March cleanse that it is something I want to do at least twice a year. In our house we eat a healthy diet, however as happens over time, I find myself slipping into habits that I would rather not. In March I came off coffee completely and after being introduced to a range of herbal teas through the cleanse, I now love them! There are some new ones I want to try this time as well as continue to build the tea drinking ritual of finding myself a quiet, calming space for 5 minutes to just be. This small act of mindfulness was another great habit I picked up in the last cleanse. Wine is another sneaky habit that has occurred more often during winter than I would like but sometimes it is just too hard to resist a red wine in front of a roaring fire, snuggled under a blanket on a cold and rainy night! So the first reason for doing the cleanse for me is to reform some habits! Sometimes I find with eating a healthy diet I tend to think that it is ok to eat more than my body needs because the food is ‘good for me’ or ‘healthy’. Over winter in particular our portion sizes at home have definitely crept up and this is showing in my clothes feeling slightly tighter than usual, not a great feeling! The great thing about the cleanse is the food is healthy, fresh but also a great guidance for a good portion size. I am a firm believer in listening to you body when it comes to hunger, however this will be a great way to guide my body back to eating what it needs for energy. It is also a way to let me my food digest and settle before thinking, am I really hungry for something more or am I just busy. Reduce my portion sizes along with stopping to chew my food properly and slow down my meal times (both of these can be hard when meal times include a toddler!) are the second reason I am doing the cleanse. Lastly, during the 7 DAYS OF ME Vital Cleanse I want to recreate some of the beautiful meals that I had during the March cleanse and use ingredients that I haven’t done in a long time! I am particularly looking forward to the falafels as they remind me of when I used to live in the Middle East for a few years as well as Kev’s chicken loaf which is my husbands favourite! Yes, he and the toddler will be doing the cleanse with me for the most part as I am definitely not cooking other food for them! I also want to recreate some rituals and routines that I didn’t do last time. Things like introduce a bath with the Epsom salts at least once or twice this week and focus more on cleansing the mind as well as rest and relaxation. Over the year I have developed the art of gratitude so want to continue to count my blessings and do ‘thought audits’. When I read back over this, it seems like a lot I want to get out of this but I believe it can all happen! And as my Nan so often says “If it’s to be, it’s up to me” so let’s do this!